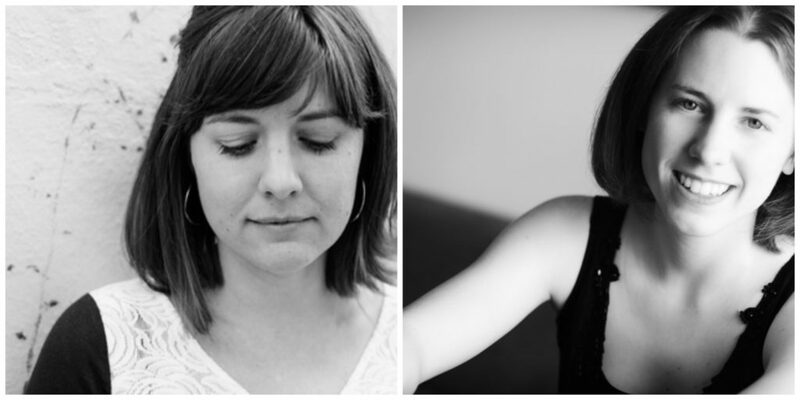 Brilliant local pianists Kate Campbell and Anne Rainwater play game-based music from the last 30 years, including selections from “Jatekok” by György Kurtág, “articles 1-3” by Rozalie Hirs, “Carny” by John Zorn, and an immersive collaboration with Danny Clay. Pre-concert party with the artists begins at 7:30; music proper begins around 8. The “don’t be a stranger” series, curated by composer Danny Clay, invites amazing folks to share the weird and wonderful things they’re doing for the world of music, both in the Bay Area and beyond. Hailed as a “brilliant pianist” (Financial Times), Kate Campbell performs frequently as a soloist and chamber musician specializing in 20th and 21st century music. She has worked closely with leading composers such as Pulitzer Prize winners Steve Reich, David Lang, and Caroline Shaw, and is at home with styles ranging from thorny modernism, to “sleek and spirited” minimalism, to indie classical. Kate is the pianist for the San Francisco Contemporary Music Players. She is the co-founder and pianist of the interdisciplinary duo KATES, which intertwines new solo piano music with new dance. The duo recently enjoyed a debut season at NYSoundCircuit at the DiMenna Center for Classical Music, and the Dance Conversations Festival at the Flea Theater in New York. As the pianist in the contemporary ensemble REDSHIFT, this year she will continue a guest artist residency at California State University East Bay, premiering works by faculty and student composers. Having recently relocated to the Bay Area, current freelance projects include performances with New Keys, Hot Air, the Garrett+Moulton Dance Company, and Switchboard Music Festival. She is also proud to be on the team of organizers for the inaugural Omaha Under the Radar Festival in her hometown of Omaha, Nebraska. She can be heard on New Amsterdam Records. Highlights of the 2014-15 season have included world premieres of two works by George Crumb with the San Francisco Contemporary Players at Cal Performances, the world premiere of Lucy: A Memory Opera with Milwaukee Opera Theater, and an intensive residency and performances with Morton Subotnick at Mills College. She is dedicated to the music of her own time and place, and premieres many works by emerging composers each year. San Francisco native Anne Rainwater is a multi-talented artist known for her compelling interpretations of music from J.S. Bach to John Zorn. An active freelancer and teacher, she is passionate about and excels in both solo and chamber settings. Anne has appeared at The Kennedy Center, Le Poisson Rouge, the Rose Studio at Lincoln Center, Bargemusic, Community Music Center, and the Galapagos Art Space, amongst others. Recent solo appearances include shows at Cornelia Street Café, 142 Throckmorton Theatre, and the the Center for New Music. She has also performed at the Mendocino Music Festival, as part of the Russian River Chamber Series, and with the Nevada County Composers Cooperative on multiple occasions. Anne has appeared locally in San Francisco with members of Phonochrome, Nonsemble 6, and the Aleron Trio, among others. Along with Jude Traxler, she performs as the piano-percussion duo futureCities; highlights from their last few seasons include performances at the Gershwin Hotel (as part of the Contagious Sounds series), the University of Maryland-Baltimore County, Princeton University, The Center for New Music, Switchboard Music Festival, and the Merce Cunningham Dance Studio, where Anne was thrilled to play John Cage on Cage’s own piano. In March and April of 2012, she traveled to Germany and Austria in collaboration with the band CocoRosie and was part of their creative team (alongside film composers Danny Bensi and Saunders Jurriaans) that produced original, largely improvised music to a new ballet by Bianca Casady and Biño Sauitzvy. Anne’s past collaborations include work with the composers David Lang, Stuart Saunders Smith, Nils Vigeland, and Brett Dietz and percussionists David Cossin and Ted Atkatz. She holds a Bachelor of Music in Piano Performance from the Oberlin College Conservatory of Music and a Master of Music in Contemporary Performance from the Manhattan School of Music. While at International House, a global graduate student community, Anne received a Performing Artist Residency and a Performing Arts Fellowship. She currently teaches privately at her home studio in Oakland and the Marin Community Music School and has previously taught at the University of Miami. Anne has recorded for Oberlin Conservatory’s Aural Capacity Series, as well as for Cat Crisis, Original Abstractions, and Bourbon Thomas Records. When not at the piano, she can be found training for her next marathon, playing with her cat Ernie, or reading fiction.